Today we gathered 13 of the world's leading social media experts and asked them to share their best advice for marketers. Instead of asking you to take our word for the most effective social media marketing strategies and tactics, we thought we'd ask the experts. So we scoured the web and read more than 300 pieces of advice from today's top social media experts…. Keep in mind that each piece of advice we're about to share is from someone that has helped to build a successful brand or business using social media in throughout their careers. Hailley: First up, fellow-podcaster Pat Flynn says to treat social media marketing like you're going to a party, which I think is a great way of thinking about it. Just like at a party, you wouldn't (or shouldn't) go around posting about your brand and product all over the place on social media. That's very much like approaching a group of people at a party and introducing yourself using your sales pitch. Ask your audience genuine questions on they care about and share great stories only after you've listened. Hailley: How about someone that we had on the show way back in episode #29 – Sunny Lenarduzzi who has grown a huge community on social media – and she can't stress the importance of planning on social media enough. Brian: We've heard from tons of businesses on the importance of planning ahead as well. If you wait to the last minute or ignore creating a content calendar, at least for the month, your content on social media will suffer because you're rushing everything. So thanks for that one, Sunny. Hailley: Donna's is a great one because it really speaks to long-term thinking on social media. She says to not get caught up in all the trends and ever-changing social media platforms – they're just part of the bigger picture and what works for someone else may not work for you. Instead, focus instead on creating quality, core content on a platform that you own (your blog/website, podcast or video) that helps solve your audience's biggest challenges. Brian: Use that content to grow a quality, engaged email list of people who are interested in what you have to share. If you do that, your social media success will fall into place because you'll have a library of engaging content. "My show and my social accounts are not a platform from which I talk about what's important to me. It's a platform from which I talk about what's important to you." It's a huge reason why he's seen the success he has over the years. Well, that and he's really good on camera, which is a tough skill. Judy talked about how your brand's mission statement needs to be one that works across all channels. And she gives the example of a business that's built to help women achieve success with transparency, trust and fairness. Hailley: Lisa talks about how you can never really predict what social media algorithms are going to do next, so if we're constantly chasing trends, you'll always be one step behind. And don't get greedy – remember it's not about reaching the most people, it's about reaching (and moving) the right people. Finally, include a unique, clear, and compelling value proposition – one simple sentence that explains how your readers will benefit from your offer." Brian: Step 1: Host a Facebook Live or record a video of you or someone from your company talking about the backstory of your product and post it to Facebook – it doesn't need to be longer than 5 minutes! And step 2: Boost the video with $5 per day on a video views objective. That'll start to rack up the views. Then create a custom audience of the video views (Facebook will dynamically update the audience) and run whatever other ad to the warmed video views audience." Hailley: We've done that exact technique here at Buffer and it works like a charm. Which leads us to Molly Pittman's advice on advertising. Another one of our guests here on the show back in episode #42. Molly talks about how important it is to align your lead magnet (or offer as we know it) with your caption, your URL and your landing page. You don't want them to feel like they've landed on another planet after clicking your ad. She talked about how critical lead magnets are in advertising. You're essentially giving people something free in exchange for the permission to follow up. These could be templates, a checklist, blog posts, white papers, ebooks or lots of other great things. Hailley: Let's take some advice from Rand Fishkin. 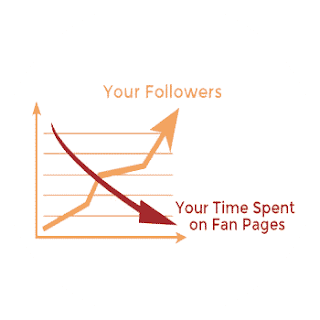 Most importantly, Rand talks about how you can't ignore that 60% of a business's or brand's followers are likely to purchase or recommend after following them on Twitter. And engage with as many people as you can on Twitter. It's all about building a community on Twitter, not blasting out your message to as many people as you can – it's really an investment in the long game. Hailley: On the topic of investing in your brand on social media, let's talk about the advice from expert Lee Odden. Lee says that the most important element for all marketers in 2019 is "truth." Truth, not in the sense of buzzwords like "authenticity" or "transparency" but as a response to empty marketing tactics that have forced consumers to get wise to being "sold" to. Consumers are getting smarter about spending and partnering with brands. They are looking for brands that don't just make quality products, but that are conscious of supporting the wellness of humanity as a whole. Brian: This is something we've noticed as well this year and that's the rise of what we're calling purpose-driven marketing. If you really want to set yourself and your brand apart, you have to stand for something that makes people's lives better. Think of companies like Patagonia that have seen unbelievable success over the years by taking a stand. I really do think that's the future of marketing. And long the same lines is the advice from growth expert, James Cohane. James' take is all about the importance of finding the right partners. Hailley: The best part about social media, or anything marketing-related, really, is that you don't have to go at it alone. Brian, I know you've seen this first-hand with partners like Mailchimp and Square and Animoto that we've worked with over the last few years. 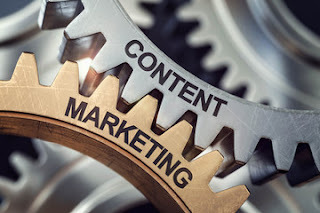 By hand selecting a group of key partners to launch various co-marketing campaigns with, you're greatly increasing the chances of success as well as the potential audience for your content. Brian: It's amazing what two brands can do together rather than trying to do everything yourself. And if you align with the right brand in terms of messaging, and content, and values, it can really help to amass an audience quickly, which we've experienced first hand here at Buffer. But don't just share any content you come across or because it's from an influencer or a big brand. Make sure that it's on-brand and provides real value to your audience. Brian: Adriana calls it going for underground' content. As you might expect, everybody reads content from top publications and influencers – so that's nothing new. Spending some time to find unique content will help your brand stand out. And if you want to automate a part of this process, you can always use tools like BuzzSumo and Curata, which I personally love. But the trouble is that those tools aren't so great for 'underground' content. My go-to sources for content that hasn't been overshared are Reddit (there's literally a subreddit for anything) and Hacker News. In fact, episode 112 is dedicated to finding great content in strange places.